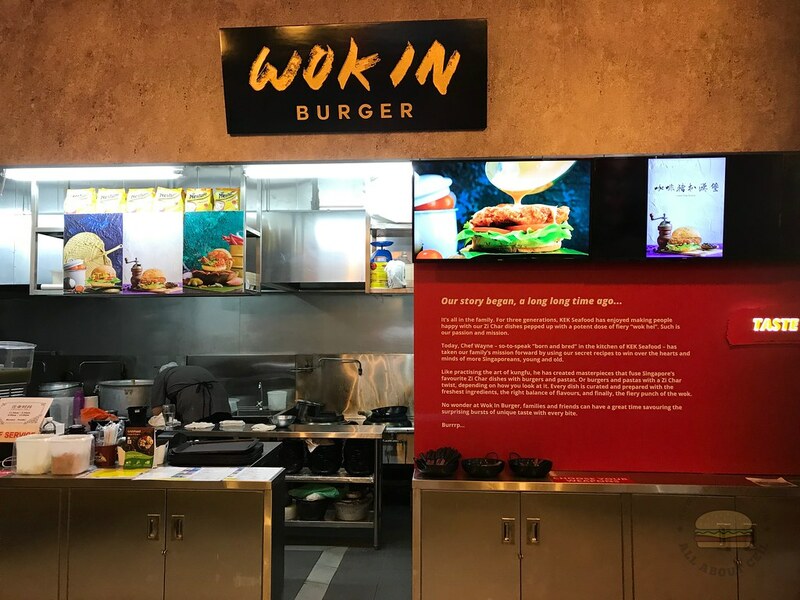 Paul Liew, 37, and Wayne Liew, 34, have recently started Wok In Burger, a stall at their father's coffee shop after getting approval from Mr Liew Choy, 65 who is still overseeing the operation of Keng Eng Kee Seafood. It is also known as KEK Seafood, a family restaurant in Alexandra Village. They are known to serve old classic items like Chilli Crabs, Salted Egg Stong, Coffee Pork Ribs, Moonlight Horfun and more. Wayne is the third-generation head chef of Keng Eng Kee Seafood. The stall name alludes to tossing and stir-fried in a wok just like what it is usually done in a traditional zichar stall before serving in between the burger buns and presented in wok-shaped platters. Such an effort of incorporating Asian elements into Western dishes to showcase zichar dishes and transforming it into burgers is definitely commendable. 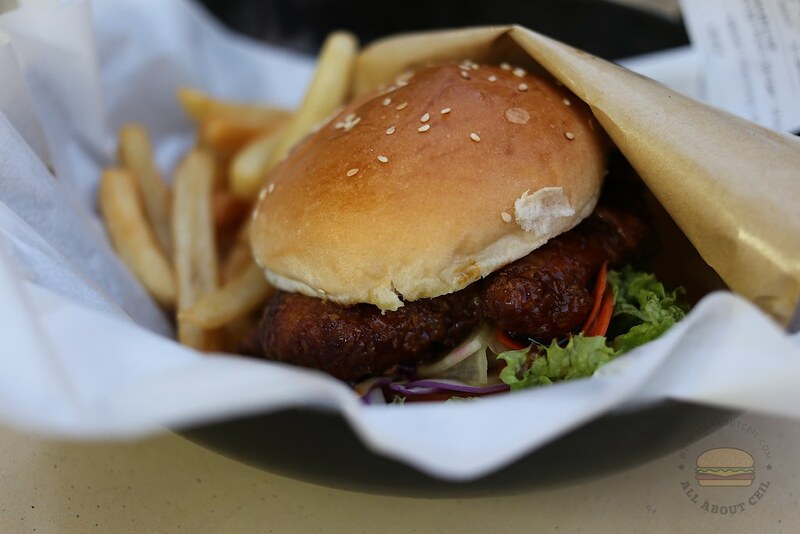 Wayne started by making these zichar-inspired burgers for staff meal before eventually featured them as Wok Hei Burgers as part of the side menu at their now-defunct outlet at Pandan Garden, it was closed last August after the lease was up. 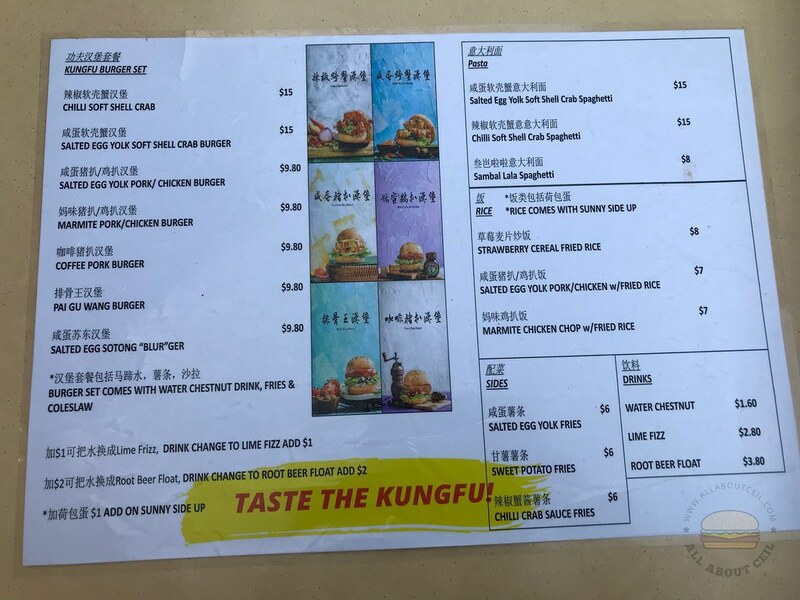 The menu consists of the 7 types of Kungfu Burgers with pasta dishes, rice sets, sides, and drinks. This is not fast food as everything is made from scratch, the recipes and the cooking methods are the same as that of the Zichar stall. The order has to be placed at the counter and a buzzer will be given for collection. 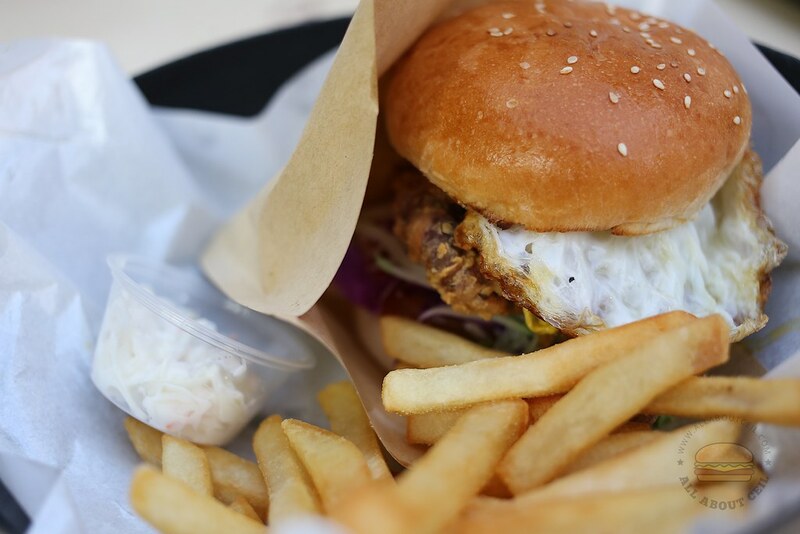 All burger orders come with fries, coleslaw, and a water chestnut drink with the option to top up $1 for Lime Fizz cordial or $2 for a Root Beer Float. There is also an option to add a sunny-side up egg for $1. There were 4 of us and we ordered 2 sets of Chilli Soft Shell Crab Burger, a set of Salted Egg Sotong "Blur"ger and a set of Marmite Pork Burger. 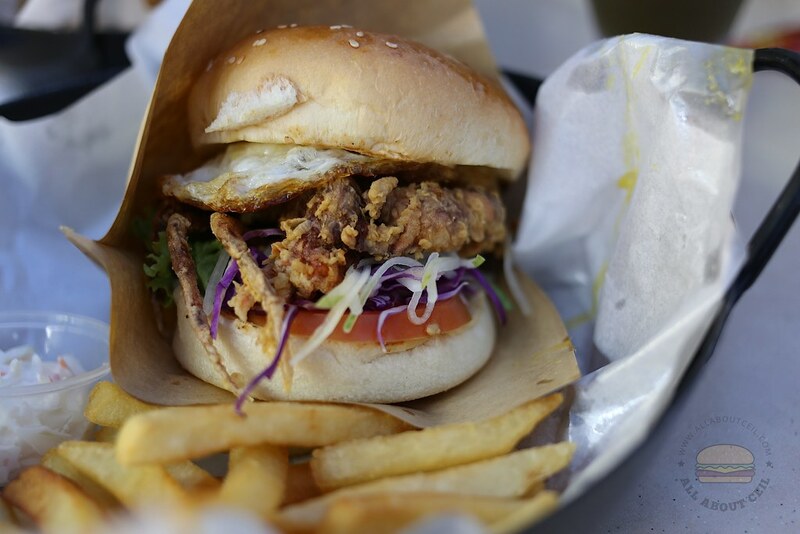 Their signature Chilli Soft Shell Crab ($15) is a must order. 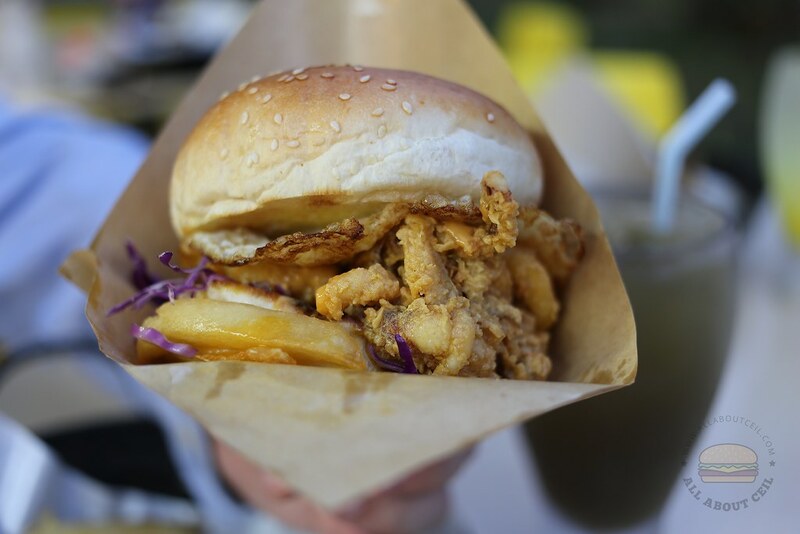 The soft shell crab was battered in thin batter then deep-fried before sandwiched in the sesame buns accompanied by a brunch of thinly julienned purple cabbage, cucumber, and lettuce. It was served along with a saucer of chilli crab sauce together with hand-cut fries and coleslaw. The sesame buns are buttered and toasted for crispier texture but still fluffy within. 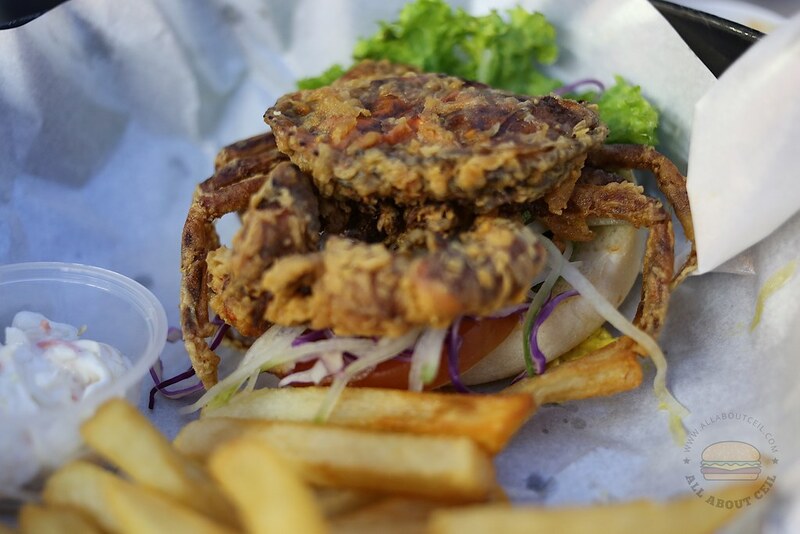 The sauce is supposed to be poured on the fried soft shell crab and eat it together. The sauce had a good balance of sweetness, spiciness and sourish. Salted Egg Sotong "Blur"ger ($9.80) is an interesting choice. 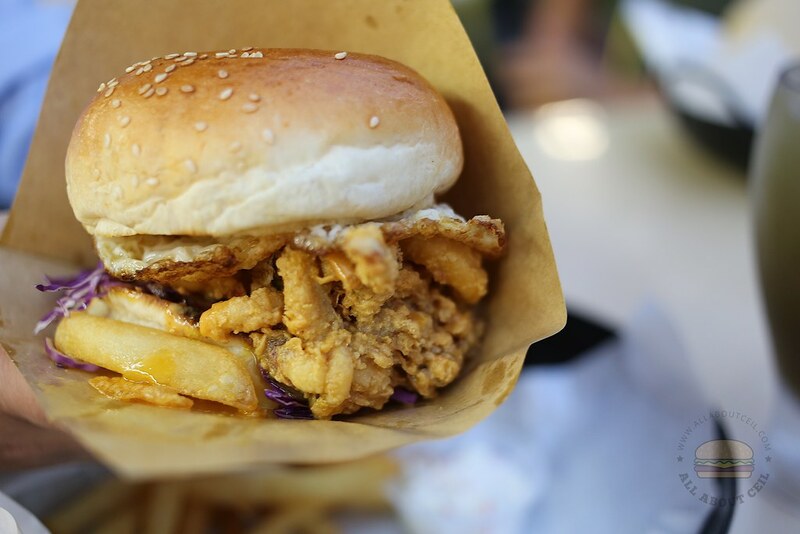 The squid rings were fried over a high fire for the desired crunchiness and softness, it was tossed in the wok with the salted egg sauce then sandwiched between the sesame buns with thinly julienned purple cabbage, cucumber, and lettuce. The salted egg sauce is made from scratch consisting of a blend of sweet and savory flavors that further accented by the curry leaves. It is served with hand-cut fries and coleslaw. There is also the choices of chicken and pork for this burger. This has to be the best salted egg burger that I have eaten so far. The hand-cut fries were lightly salted, slightly crisp and still soft within. The coleslaw provides a refreshing twist. My friend that was having the Marmite Pork Burger said, "I did not expect the meat to be so soft." She also said, "The fries are also very nice." I was telling her that, "They have the skills after running the Zichar stall for quite a while to actually infuse the familiar flavors to these burgers." This is likely to be the only place for such hearty burgers with the familiar local flavors and it is definitely worth a try.